The AUD/USD surged on better than expected employment report and decelerating inflation in China, while the NZD/USD erased earlier gains after the RBNZ left interest rates unchanged. The Aussie was pushed higher on Thursday as jobs data came out much better than previously anticipated. The unemployment rate decreased to 6.1 percent, expectations being for 6.3 percent. The record 121,000 new jobs were added to the Australian economy in August, while expectations were for a modest gain of 12,000. 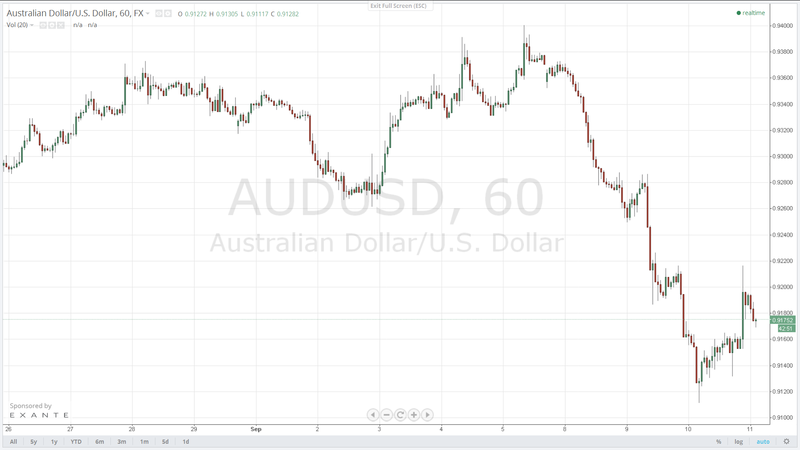 Following the data, the AUD/USD hit a session high of 0.9216, rallying more than 60 pips for just about ten minutes. As of 6:48 am BST, the Aussie is trading at 0.9182, a 0.30 percent gain for the day so far. In China, the Consumer Price Index (CPI) increased with 2 percent, with forecasts being for a 2.2 percent gain. The Producer Price Index (PPI) came out at minus 1.2 percent, compared to expectations for a more modest drop of 1.1 percent. The NZD/USD stayed virtually unchanged at 0.8194 after the Reserve Bank of New Zealand announced its decision of leaving interest rates at 3.50 percent. Central bankers made a downward revision of the inflation outlook. The previous forecast was for price growth breaching 2 percent by June 2015, which was now pushed further ahead in time to the month of September 2016. The RBNZ Governor Graeme Wheeler described the current exchange rate of the New Zealand dollar as unjustified and unsustainable, suppressing growth in the traded sectors. He added that further depreciation is expected with the gradual normalization of the Fed’s monetary policy. The US dollar outperformed its major counterparts overnight as investors were continuously betting that the Fed would start hiking rates earlier than previously expected. The economic data coming out of America broadly supports the view that the US economy is accelerating and policy accommodation should be gradually taken out of the equation. The Dollar index is currently trading at 84.31, in viewing distance of its September 9 high of 84.51. Next major resistance hurdle is expected at 84.95, the peak of July 9, 2013.